Montreal (/ˌmʌntriˈɔːl/, spelled Montréal in French) is a city in the country of Canada. 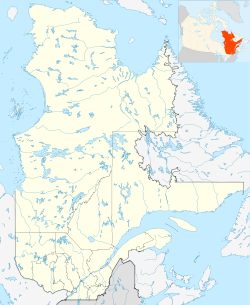 It is the largest city in the province of Quebec and the second-largest city in Canada. It is the second-largest French-speaking city in the world after Paris. "MTL", "Quebec's Metropolis", "The City of Festivals", "The City of Saints", "The Metropolis", "The City of a Hundred Steeples", "Sin City"
Montreal is built on an island sitting in the Saint Lawrence River. More than three million people live in the Montreal region. At the centre of Montreal is a mountain called Mount Royal. The suburb of Westmount, is a very affluent suburb of Quebec. Most of the people who live in Montreal speak French, but English is also commonly spoken, as a second language. The name 'Montréal' comes from Mont Royal, which means 'Royal Mountain' in French. It was originally called Ville-Marie, or City of Mary. Montreal has always played a very important part in the history and development of Canada. It continues to be a large Canadian industrial and commercial centre, as well as a major seaport (via the Saint Lawrence River). It once was the largest city in Canada, before Toronto grew to be larger. Tourists visit Montreal for its historical and cultural interest. One can visit the Old City in horse-drawn carriages, where many buildings from the earliest years stand and remind of the way of life that started in the New World, when Montreal was just a fur trading outpost belonging to France over 350 years ago. 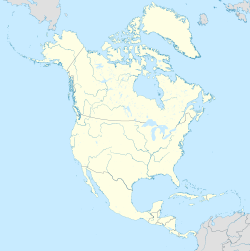 Montreal is in the southwest of Quebec, 530 kilometres north of New York City. The city itself is located on an island, the Island of Montreal. Near the downtown area, there is a hill called Mount Royal (Mont Royal in French). Montreal's economy is the second largest in Canada. The city's port is the biggest inland port (a port that is not on the sea) in the world. 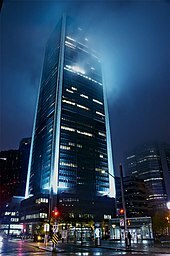 Many large corporations have their main offices in Montreal. It also hosts many international organizations like ICAO, the World Anti-Doping Agency, and IATA. The city is home to four major Universities, welcoming students from all parts of Canada and from all over the world. Montreal is also known for its cultural production sector. Because the city has many different buildings, movies are easy to film there. The circus troupe (group) Cirque du Soleil is from Montreal. The city is also known for its festivals, like the Montreal Jazz Festival and Just For Laughs. Some video game companies also have studios in Montreal. Montreal has many beautiful churches (Montreal is referred to locally as 'the city of a hundred churches'), including the largest church in Canada, and also many important art, history, and science museums. You can also visit the location of the 1967 World's Fair, where today, as well as many other attractions, one will find the Circuit Gilles Villeneuve Formula One automobile race course. Also of interest is the site where the 1976 Summer Olympic Games were held, and the modern architecture of the Olympic stadium (the 'Big O') and its tall inclined observation tower (the highest inclined tower in the world); now a landmark of Montreal. A lot of Montrealers are interested in hockey, and Montreal is home to its own ice hockey team called the Montreal Canadiens who play in the National Hockey League (NHL). 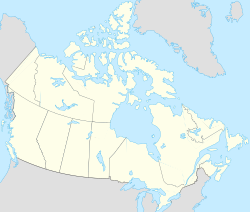 ↑ "Quebec's Metropolis 1960–1992". Montreal Archives. Retrieved January 24, 2013. ↑ Gagné, Gilles (May 31, 2012). "La Gaspésie s'attable dans la métropole". Le Soleil (in French). Quebec City. Retrieved June 9, 2012. ↑ Leclerc, Jean-François (2002). "Montréal, la ville aux cent clochers : regards des Montréalais sur leurs lieux de culte". Éditions Fides (fr) (in French). Quebec City. ↑ "Lonely Planet Montreal Guide – Modern History". Lonely Planet. ↑ Poirier, Jean. "Island of Montréal". Natural Resources Canada. Archived from the original on July 20, 2014. Retrieved July 16, 2014. ↑ 6.0 6.1 "Global city GDP 2014". Brookings Institution. Archived from the original on June 4, 2013. Retrieved November 18, 2014. Wikimedia Commons has media related to Montreal.